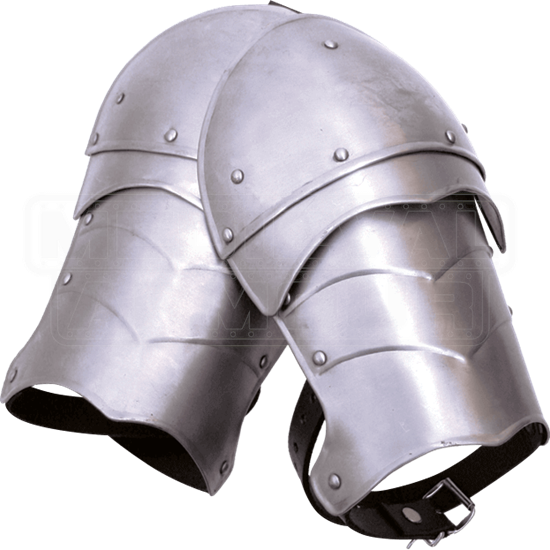 Adopt fantastic warrior style with the help of top notch plate armour like the Small Steel Markward Spaulders. 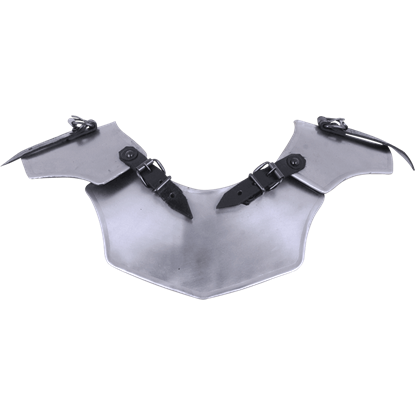 These impressive steel spaulders display a bright metal finish that goes well with other medieval armour, especially our Markward-style pieces like the Steel Markward Gorget (MY100054). The strengthened design of the shoulder armour ensures it has great durability, while also offering excellent maneuverability. 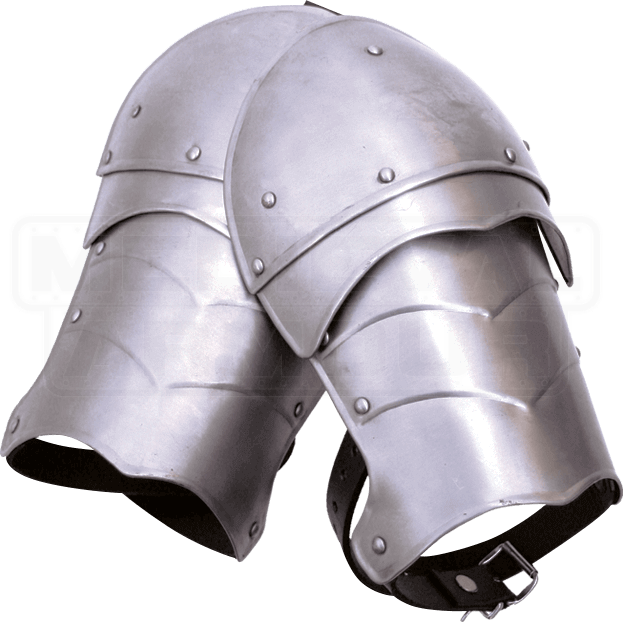 We recommend wearing padded arming wear with this steel armour for increased comfort. This functional armour is ideal for LARP event and re-enactments. Please note that this item must be worn with a gorget. For the price, these pauldrons CAN'T BE BEAT! Super-tough 16 ga. steel, strong, thick strapping, fool-proof construction. The only *possible* downside I see is that due to the way the lower canon is built, these *might not* be the best choice for those with large biceps. They *could* be bent outward slightly for larger biceps though---but this IS 16 ga. steel, so it won't be easy. But...if you have muscles THAT BIG...no prob. :D I have zero doubt that these would fend off even a heavy sword strike...just as they were meant to do originally. Excellent armor!!! The Steel Markward Gorget stands out due to its construction from three metal pieces rather than the typical two-part design. The steel gorget shows off a great look with curved sides and a bright metal finish.